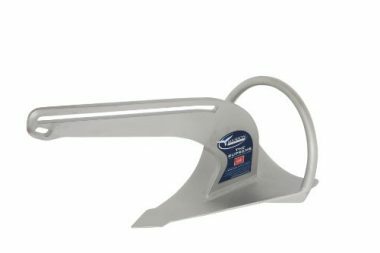 What are the best sailing anchors? That is not usually a question you are asking yourself when you are buying a sailboat for the first time. The boat must come with one, and I don’t need to worry about it. Unfortunately, it is not quite as simple as that. You should not trust that the previous owner knew what they are doing, and you should also be thinking about the type of sailing you are going to do and if it differs from what came before. A good anchor can make your sailing life a lot easier, and it might even be a lifesaver. Hopefully, it will never come to that, but if you find yourself in a precarious situation with the wrong anchor, then things can start to go badly. Thankfully, we have done the research so you can make an informed choice about the type of anchor you need. Here is our list of the 10 best sailing anchors in 2019. From the moment you feel the weight of this anchor you know that it will hold your boat. The anchor is heavy, and you can feel the quality in it. The anchor does fold down to save you some space, but when it does lock in place, you know that it will not let you down and keep your boat in place. You throw this anchor overboard and into the water. The anchor will set itself directly below the point of entry and within a foot of the entry point. 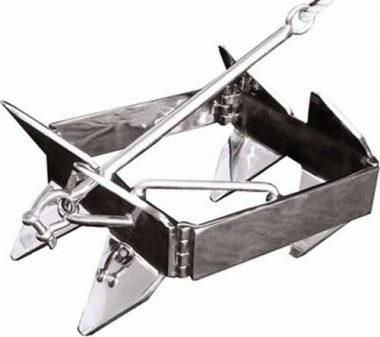 This is a great heavy duty anchor for a reasonable price and will secure most boats. Danforth has a long history with anchors. They have traditionally focused on holding power, and this anchor is no different. The style of this anchor means that it will penetrate deep into the ground, making it ideal for terrains which are loose, such as rocks, sand, and mud. This is a great anchor to use in almost any depth, in most terrains, and in turbulent waters. It does not matter if your anchor is in mud, sand, rock, or anything else. This anchor will hold. This anchor is a modern take on the classic anchor design, and it is an anchor which will last you forever (unless it gets snagged on some rocks and you cannot un-snag it). A great anchor which will not slip. This is an anchor like no other. The design is unique, but not at the expense of functionality. This is an anchor which will dig in and give you holding power which is hard to match. 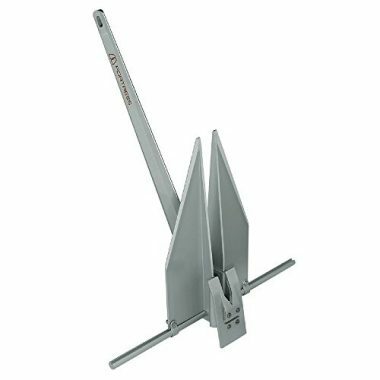 If you need an anchor which will really dig into the ground, giving you more power than other anchors you have tried, then this is the one for you. This anchor is also extremely easy to store. The anchor is built strong but still comes apart for easy transport and storage. The benefit of this is you can carry two or three in case one snags, and you cannot get it back. This lewmar anchor has a similar shape to a plow. This shape really gets into the ground, but unlike a plow, it digs down until the hold is secure. This is a great anchor for bottoms which are slimy and muddy. 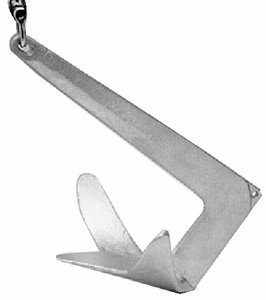 Sailboat anchor reviews talk about the hold you get with this anchor and the fact that you get a hold every time. 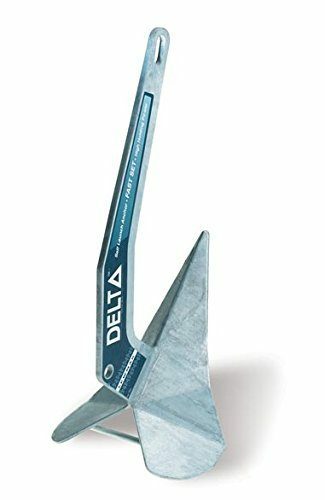 This is a great anchor for the price. It is also an anchor which you will be able to retrieve easily. In my opinion, that is a big bonus. 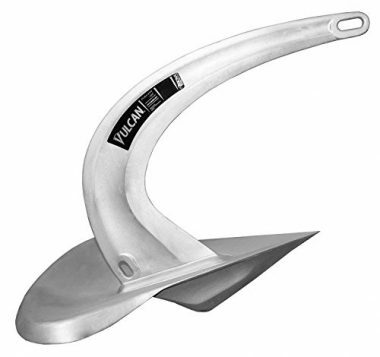 The Vulcan has been designed to complement the widest range of boats possible, making it one of the best sailing anchors. The shank and fluke design have been created in a way that allows a bigger fluke than other anchors. This gives a better hold, and the self-righting mechanism will ensure that you get that hold the first time you drop this anchor. A great anchor for those who appreciated great design and professional craftsmanship. 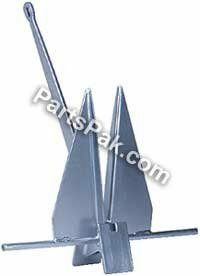 The wing boat anchor design is one of the most popular there is. This anchor comes as one piece, leaving less to break and wear down. It has superior holding power and will grip to whatever is down there. The other upside to this anchor is that the stainless steel looks great on any boat. Being a self-launching anchor, this product will work great with windlasses. In boat anchor tests, this anchor was shown to set faster and have more holding power than other anchors. The US Navy tested this anchor and were impressed with the holding power. This anchor even outperformed heavier anchors. This anchor also disassembles to allow easier storage. Manson like to thoroughly test their products (do not get me wrong, all companies test their products, but Manson go the extra mile). The rigorous tests make this a great anchor for those who want to ensure safety. Great for those who have families and want peace of mind. 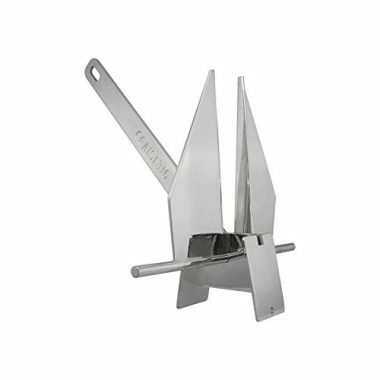 This anchor has been designed with tradition in mind and also has a dual-operation shank. The shank makes it perfect to use in rock and coral. Norestar has taken advantage of the Danforth design to create this great anchor. The style gives a great hold in softer and looser areas, such as mud and sand. 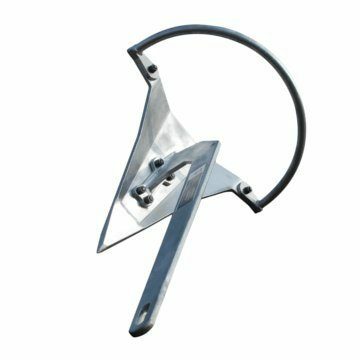 This style of anchor also has the highest holding power to weight ratio. The fluke style is great as it gives great hold under the water and it is also an easy shape fo anchor to store. They will easily stow for transport. The more you sail, the more you know. As a beginner (or even as an experienced sailor) you may wonder what anchor you need based on your hull type. The truth is that you do not need to choose based on the hull, you need to make a choice based on the size of your craft. The bigger the craft, the more holding power you will need. 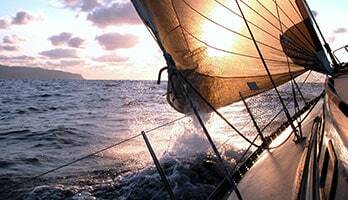 The type of water you are sailing on will determine how much holding power you need in an anchor. The ocean will need more than a lake or a river. You should determine the most turbulent water you will be in and buy your anchor based on that. The anchor will work on anything calmer. If you have bought your sailboat, then you should know the vessel’s length and weight. If you do not know them, the length is pretty easy to get by measuring it yourself. The weight may need some online searching to find the same or similar vessels, with information. 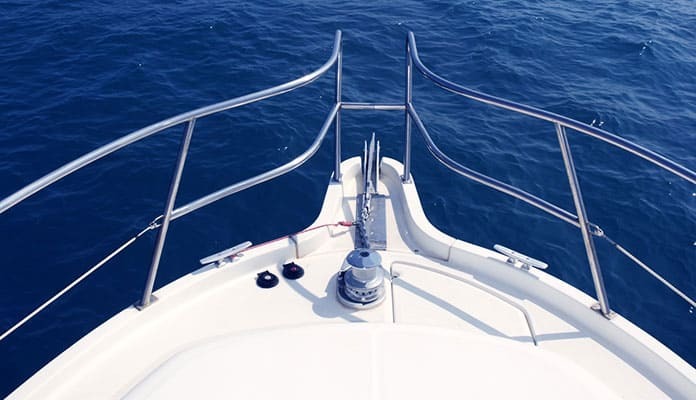 Once you know the weight and length of your vessel, you can use the manufacturer’s specifications to determine if an anchor is right for you. ALUMINUM is lightweight and still gives good holding power. The tradeoff for it being lightweight is the cost. They are not as strong as some other materials but offer great holding power in comparison. GALVANIZED STEEL gives you strength and a good price-point. It is not shiny, like some of the other materials. Galvanized steel is also corrosive en can wear. Try to find an anchor which has been hot-dipped. STAINLESS STEEL looks great. It is resistant to rust and corrosion, but it does have a higher price-point than some other materials on the list. HIGH TENSILE STEEL is a lot stronger than regular steel. A great material if your primary focus is strength. MANGANESE STEEL is a strong material and lasts great when exposed to impact. Great for rockier terrains. The terrain under you will take some of the choice from your hands. Different anchor designs work better in different situations. Plow-style works in most conditions, as does scoop-style. Fluke anchors work best in loose conditions, such as sand and mud. Rocks, reefs, and coral can all claim an anchor. Be careful when navigating with these below, and if you need an anchor for these conditions, then try to find one with slotted shanks. Fluke-style anchors are best for these conditions. Sometimes there is sediments, air pockets, or loose materials underneath, so you need an anchor which can penetrate deep and give you the hold you need. Fluke anchors are great for digging down deep to grip and hold your boat. Most of the time on your adventures you will be met with favorable conditions, but even with the most careful research and eye on the weather, you can be caught in quick-turning weather. If you do get caught in a storm, you should make sure that you have an anchor which will hold. Thankfully, most of the modern anchors out there have been tested in just these conditions. If you have an old anchor, then I would recommend replacing it with a newer one. Q: How Do I Anchor A Sailboat? A: Anchoring a sailboat is not quite as simple as throwing your anchor overboard and waiting for it to hit the bottom. You need to worry about the currents, the terrain, the tide, and your luck. Here are some things to think about before you buy your anchor. Q: Does It Move With The Current And Tide? HINGED SHANKS are great for waters where the tide changes. If your boat is turned, a hinged shank will turn the anchor with you. FIXED SHANKS do not have the same versatility as hinged shanks when it comes to tidal or current changes, but they are great for helping to set in muddy seabeds. Choose the anchor based on where you will be sailing or choose multiple anchors for your sailboat. Q: How Well Does It Set? TIP BALLASTS weight the anchor on one end. When the anchor falls into the water or when it is pulled, the anchor will tip, and the ballast will stand the anchor in the correct position. ROLL BARS roll the anchor when it hits the sea floor, making sure that it is in the correct position to set. Sailing is what we do to get away from the day to day drudge and realities of life on the land. Casting off and feeling the waves underneath you is a feeling like no other. A food anchor will keep you rooted when you need to be and will release easily when you want to continue on your journey. 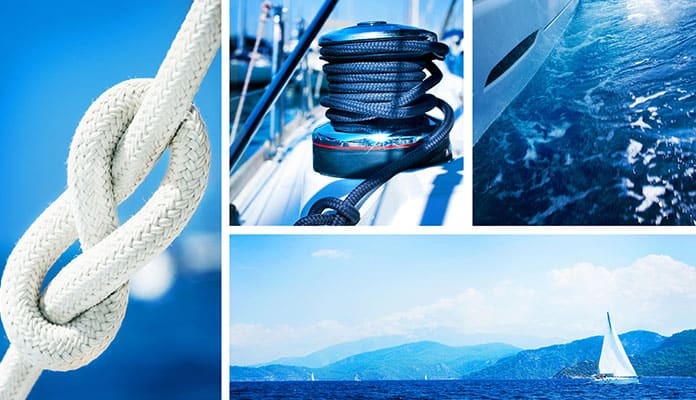 Anchors are all about safety, but a really great one will become a company aboard your boat. 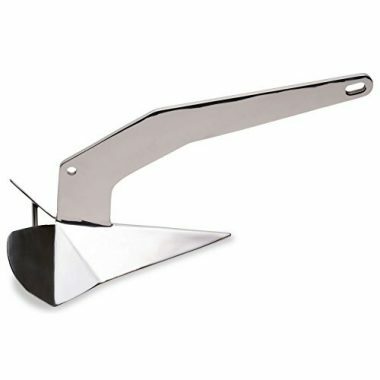 Have you tried one of our sailing anchors on the list above? Let us know your favorites in the comment section below.